← California Music Industry Summit Mixer This Friday! The Transportation Security Administration (TSA) has collaborated with music-related organizations to come up with convenient and safe solutions to traveling with your musical instruments. Every airline carrier has their own measurements and sizes as their carry-on allowance. Make sure you check with your specific airline as they may also change sizes from time to time. 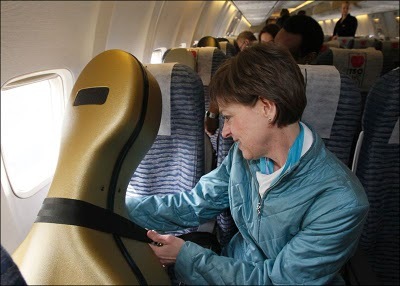 Once you approach the security screening, you should be present when your instrument is removed from its case. Stay with your TSA agent from the moment you release your instrument and emphasize the value or sensitivity of the item. Musicians should arrive at least 30 minutes prior to your airline’s recommended arrival window. If possible, post simple written instructions on your instrument if it’s going to go as checked baggage. This will assist for the packing and handling of your instrument. Make them as explicit as possible as if writing to someone with no musical knowledge or background. Unfortunately, there is the possibility of incidental damage. Champion Insurance focuses on travelers who need temporary or permanent coverage. AAA offers reimbursement for incidentals during domestic travel by road and air depending on the level of your membership. Also, some major mobile phone carriers offer roadside assistance, which includes air travel, as an additional charge to your monthly plan ranging from $2 to $6 per month. It’s something to consider for anyone who travels with expensive equipment.